A revitalised monthly meeting of folk musicians and singers. Come and join in or just have a drink and listen. Join host Roger Phipps and friends for an informal ‘Sunday Club’ open to all musicians and singers. 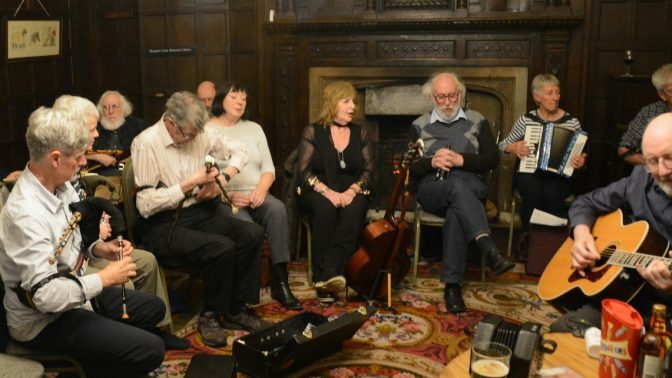 We encourage beginners and those curious about folk music to come along. Halsway Sunday Club is held 8pm on the 1st Sunday of each month (with the exception of a short summer break). All musicians, singers and those interested in folk music. Beginners and seasoned players and singers alike are welcome.